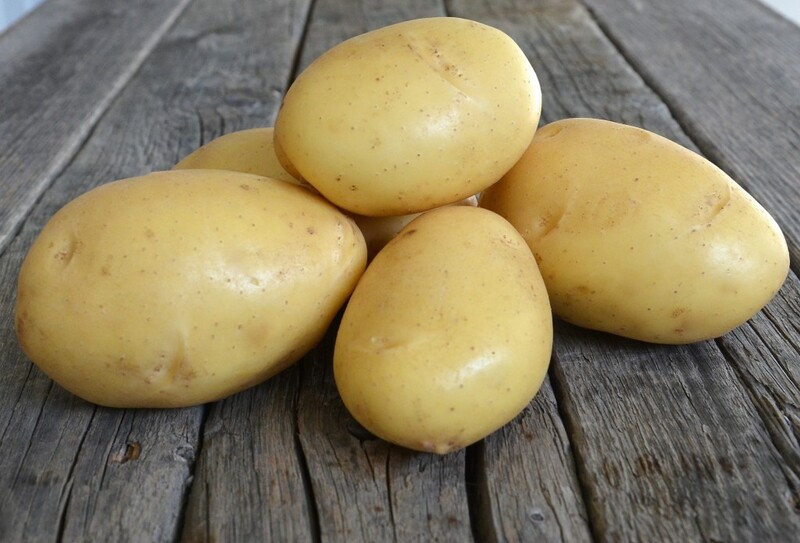 Fioretta is an early maturing yellow skinned variety producing large round-oval tubers. This deep yellow fleshed variety produces high yields with an even set of 11- 13 tubers. Fioretta has a low tendancy to black spot bruising and shows no discoloration after cooking. Fioretta has an excellent taste and texture. - Resistant to wart disease. Fioretta also has good resistance to black leg and tuber disorders. Needs sufficient amounts of potassium. Is suitable for use as a yellow baker.